Overview: Climb aboard a racing yacht and experience Antigua’s rugged beauty from the deck of a sleek craft in an all-out race. 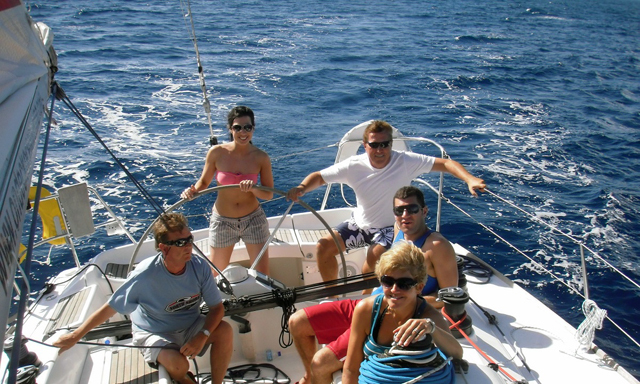 Under the guidance of a professional crew, feel the thrill of what it’s like to captain a boat. With only six guests on board, the two-man crew will teach you everything you need to know. Afterwards, marvel at pristine scenery on a relaxing harbor cruise. Drink in the lush island on a peaceful drive. Highlights: Caribbean Yacht Race: Captain a racing yacht in a thrilling ocean race, under the tutelage of a professional sailing crew. Antigua Harbor Cruise: Admire the island’s ruggedly beautiful scenery during a tour of the picturesque harbor’s sparkling waters. Antigua Island: See Antigua’s interior by bus and breathtaking islets and birds by boat. Overview: Hit the best links on St. Kitts for a round of golf with breathtaking views of the tranquil Caribbean on one side and the roaring Atlantic on the other. The Royal St. Kitts Golf Course, designed by Canadian architect Thomas McBroom, will engage and challenge players of all levels in a spectacular setting. Before and after your round, enjoy the amenities and first-class service at the clubhouse. Highlights: Championship Course: Play 18 holes on lush greens in a spectacular setting with views of the Caribbean and the Atlantic. Clubhouse: Enjoy first-class service and onsite amenities, including a restaurant overlooking the 18th hole and Atlantic Ocean. Experience the lush tropical beauty of St. Kitts from the air in this one-of-a-kind tour. 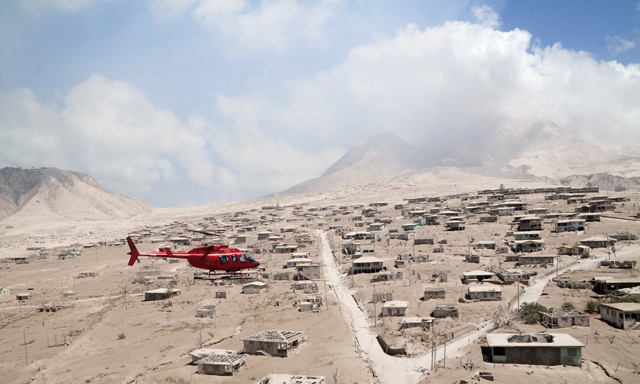 Soar along the volcanic ridges of Mt. Liamuiga (and see the crater in good weather! ), fly over the palisades of Brimstone Hill Fortress, the British “Gibraltar of the Caribbean” and down the coast to Paradise Reef. Catch a sneak peek of vast, isolated beaches and enjoy a panoramic view of neighboring island, Nevis. After your helicopter adventure, you will land right back at Port Zante beside your ship. Overview: Cast your line for big-game sporting fish in the captain’s favorite spots on this deep-water adventure off the coast of St. Kitts. Test your skills and feel the thrill of the “screaming lines,” or learn the local methods for bringing in mahi mahi, tuna, barracuda and more. Experienced and novice anglers alike can rely on the assistance and advice of the captain, who aims to help you bring in the catch of the day. Highlights: Deep-Sea Fishing: Explore the typically calm waters of the Caribbean for sport fish like mackerel, mahi mahi, tuna and more. Equipped Vessel: All fishing equipment is provided and the captain offers assistance and guidance throughout. Complimentary Drinks: Stay refreshed on your trip with beer, sodas and water. Overview: Swim, belly ride, and boogie-board with dolphins in Anguilla on a sightseeing ferry cruise that leaves from St. Maarten. See both Dutch and French sides of St. Maarten on the hour-long ride, then enjoy water play with these intelligent beings. You’ll get wet hugs and kisses, hold a dolphin’s fins and ride on its belly, or get pushed on a boogie board during this family-friendly adventure. Afterwards, relax or swim at a tranquil Anguilla beach. Highlights: Island Vistas: See both French and Dutch sides of St. Maarten in panoramic splendor on your way to Anguilla. Dolphin Encounter: Let a dolphin push you on a boogie board, or ride its belly. Get kisses and hugs! 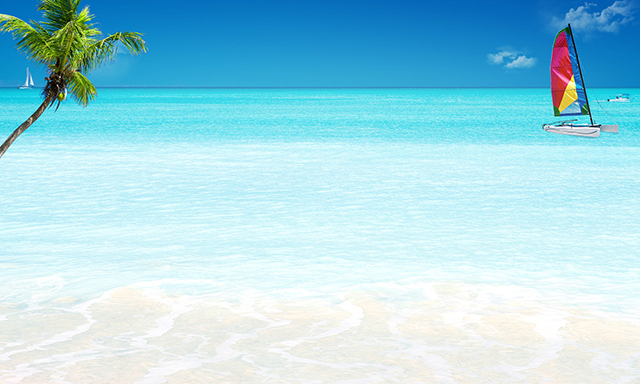 Tranquil Anguilla: Relax on a beautiful white sand beach, or swim in balmy turquoise waters. Overview: Pilot an inflatable motorboat on an exciting ride to a secluded beach on the French side. After a safety briefing and practice on the 2-person Rhino Rider in calm waters of the lagoon, follow your guide as you motor slowly past moored boats and mega-yachts into Marigot’s harbor. Fire the engines to zoom along the coast to Happy Bay, where you can relax, swim, snorkel and hike in a beautiful setting. Highlights: Rhino Rider: Cruise the harbor and ride the waves along the coast at the wheel of a 10-foot inflatable motorboat. Island Views: See the coast, colorful marinas, the French capital, including historic Fort Saint-Louis, from the water. Happy Bay: Hike a trail, snorkel around the reef or relax on the sands of this secluded beach. St Maarten Rhino Rider Adventure looks like a fun option. 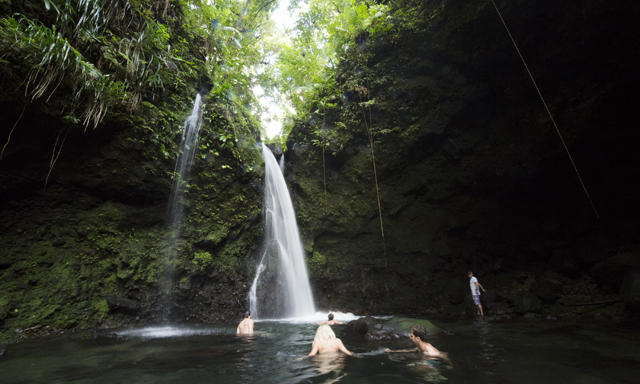 Overview: Admire the spectacular beauty of Dominica’s stunning twin waterfalls on this short afternoon tour. Spend about 25 minutes enjoying breathtaking scenery at Trafalgar Falls, cascading twin falls that erupt from deep gorges on the island’s cliff face, dumping into a deep pool surrounded by ferns. This tour is convenient for morning divers or guests who sleep late, or for those seeking a short-term tour. Browse for gifts at the bus stand. Highlights: Trafalgar Falls: Take a quick 25-minute tour of Dominica’s twin misty waterfalls, just minutes from Roseau. Shopping: Browse for souvenirs at the bus stand before and after your trip to Trafalgar Falls.